Romanesque | Zonyxa. Unique and contemporary jewellery for Work. Love. Play. 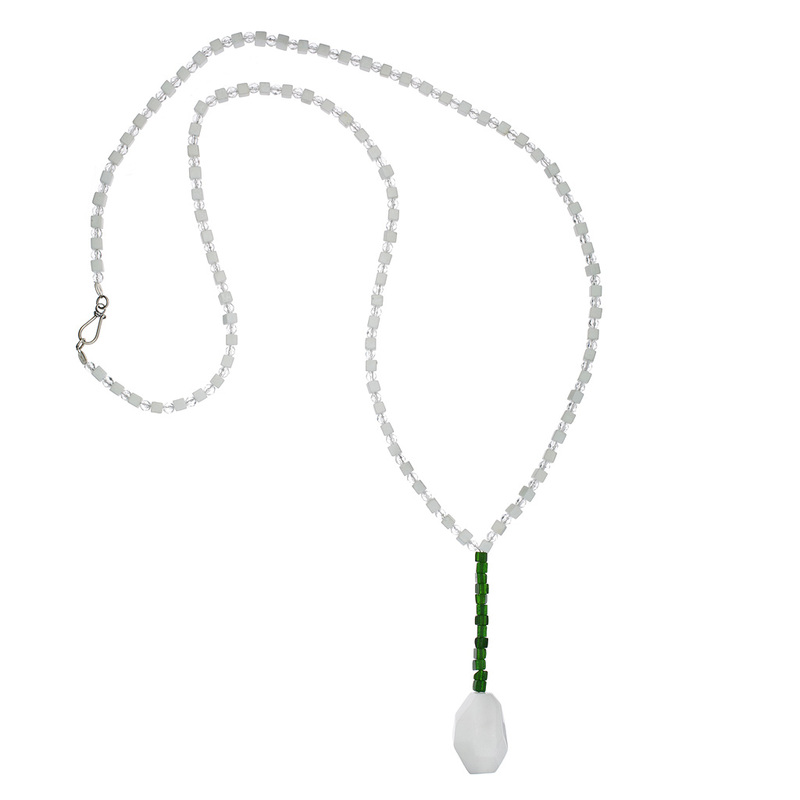 This funky necklace features free-formed white agate pendant suspended on deep green smaragd cubes from a delicate rope of faceted crystal balls and smooth howlite cubes. A fun conversation piece for weekend wearing.